Have I mentioned before how crazy busy my family is during the week. We’ve got homework, dance classes, soccer practices and then the random stuff that just seems to pop up out of nowhere. You too? It’s tough right?! So, where in there exactly are we supposed to eat dinner let alone actually cook it. 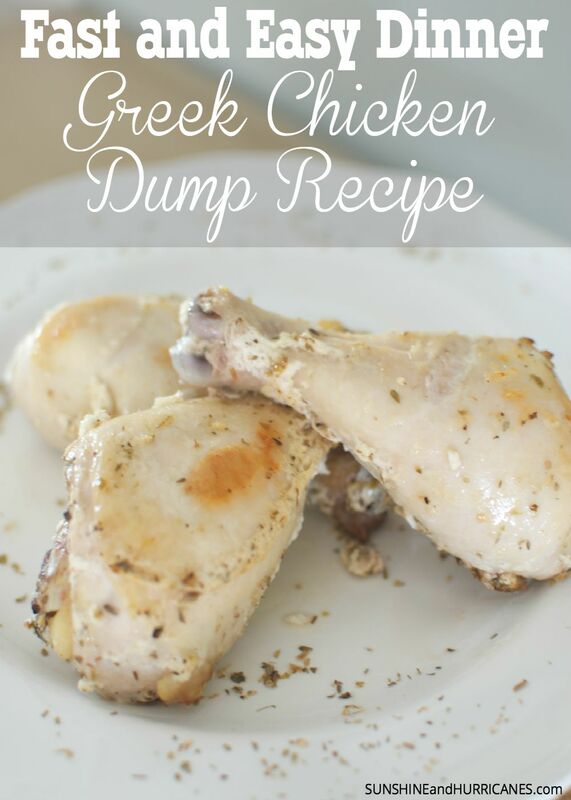 Due to this hectic schedule, I’ve begun collecting tons of easy chicken recipes and this Greek Chicken is one of my family’s favorites! As I said, this is a one of our all time favorite easy chicken recipes. It’s got tons of flavor and my kids of course love that they can pick it up and eat it with their fingers! I love it because it only requires a few simple ingredients, making it both quick and budget friendly to make. 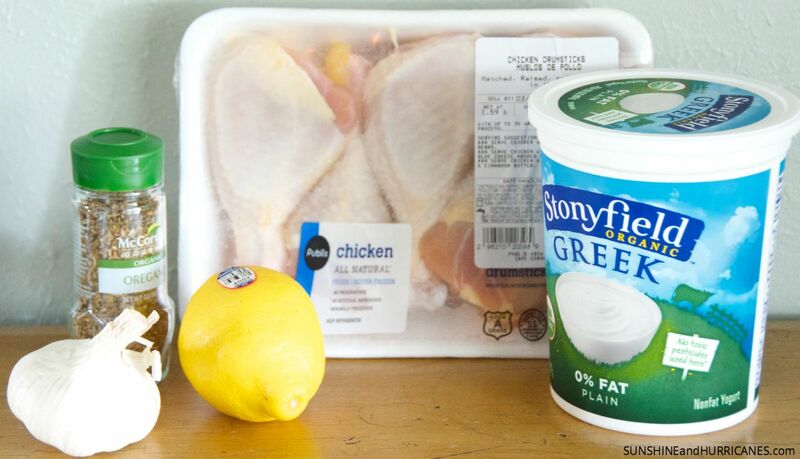 Combine all the ingredients except the chicken in a bowl and mix well. 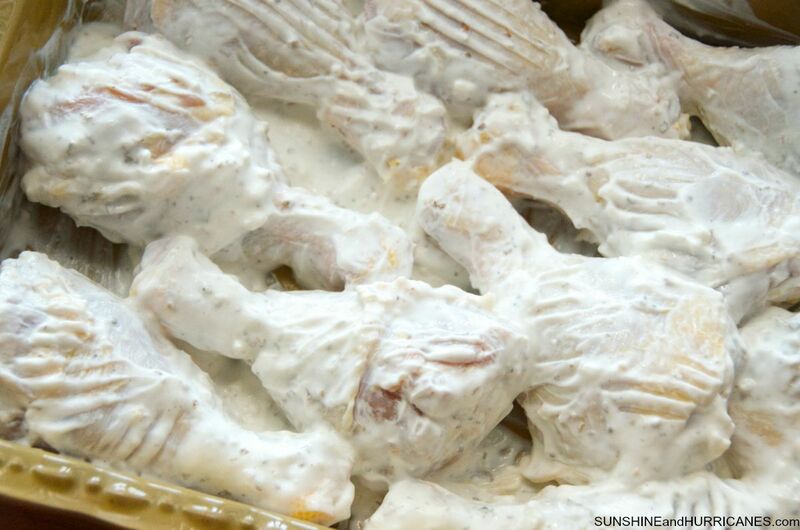 Place the chicken in a Ziploc bag and then pour the yogurt mixture in over it. Zip the plastic bag closed fully removing as much air as possible and then gently shake or just manipulate the chicken around so that it is covered fully by the yogurt marinade. Place the Ziploc in the fridge and let it marinate for at least 30 minutes, but it’s fine if you want to do the prep in the morning and then cook the chicken that evening to make it an even faster process for a busy weeknight dinner. When you’re ready to cook, preheat the oven to 375 degrees. Dump (get it, chicken dump recipe) the chicken into a large baking dish. Cook the chicken for at least 45 minutes. You want it to have a nice golden brown color when it’s done, so if it hasn’t quite gotten there you can bake for an additional 10-15 minutes. When it’s done, serve with an easy side like broccoli or a nice greek salad. If I’m in a real hurry, I’ll often just cut up some melon to go with it. A great family favorite for busy school nights, prep in the morning and cook at night. Tastes delcious! Combine all the ingredients except the chicken in a bowl and mix well. Place the chicken in a Ziploc bag and then pour the yogurt mixture in over it. 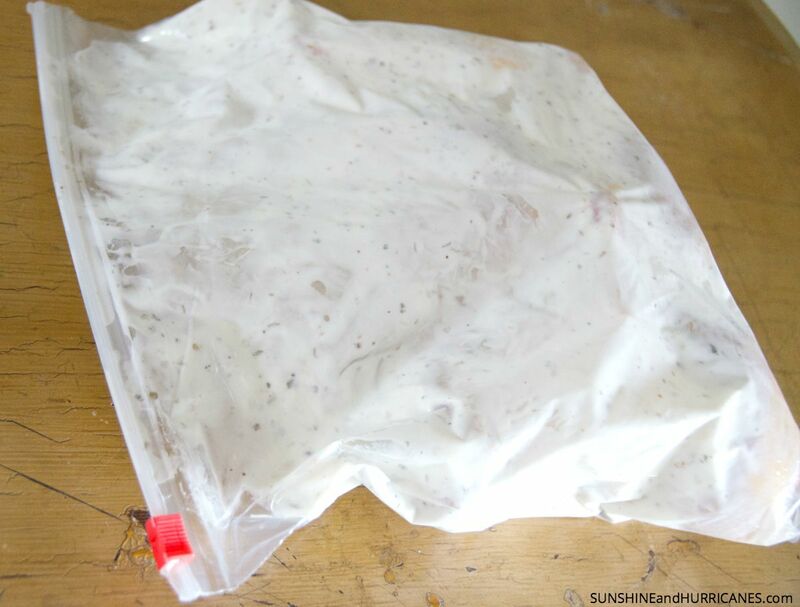 Zip the plastic bag closed fully removing as much air as possible and then gently shake or just manipulate the chicken around so that it is covered fully by the yogurt marinade. When you're ready to cook, preheat the oven to 375 degrees. Dump (get it, chicken dump recipe) the chicken into a large baking dish. Cook the chicken for at least 45 minutes. You want it to have a nice golden brown color when it's done, so if it hasn't quite gotten there you can bake for an additional 10-15 minutes. Looking for other fast dinner ideas?